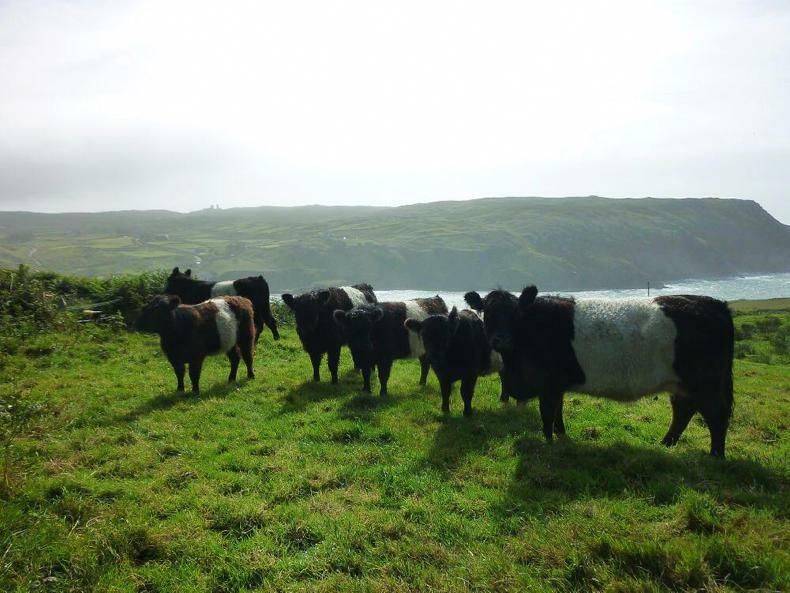 From Scotland to one of the southernmost parts of Ireland, the journey of the Belted Galloway heifers to the Voarino family farm took 30 hours. 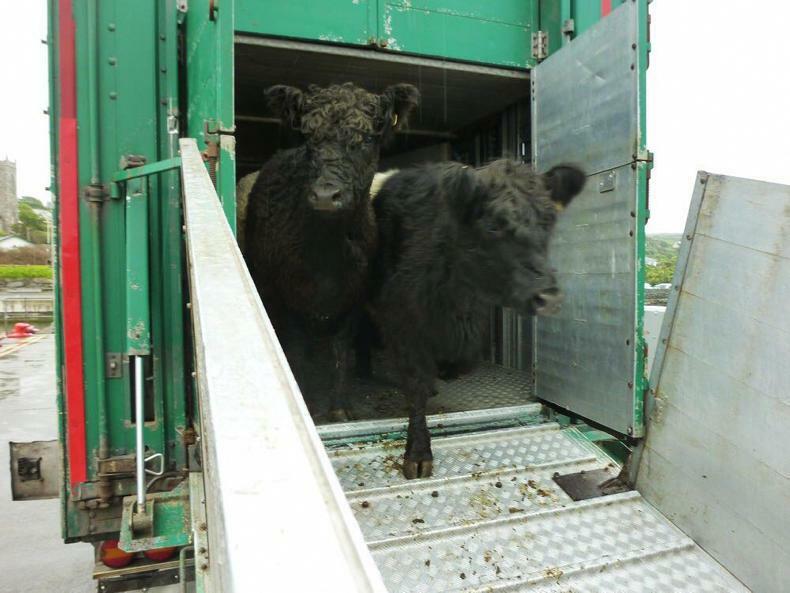 The Belted Galloways being transported from Scotland to Phillipe Voarino's farm on Cape Clear island. 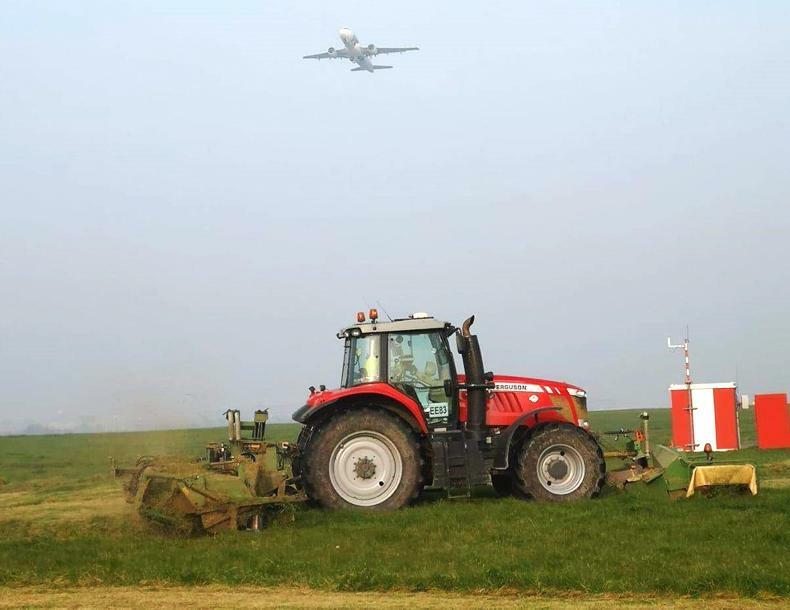 The journey took up to 30 hours to complete. 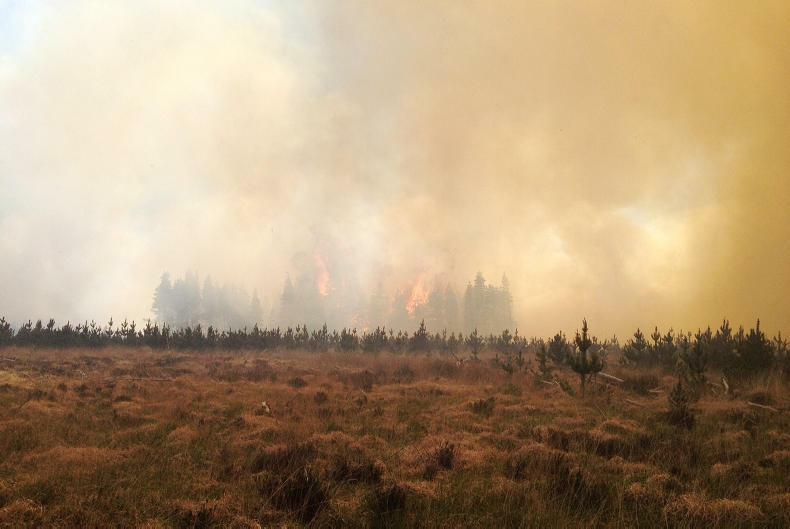 Phillipe Voarino and his family are farmers on Cape Clear Island. 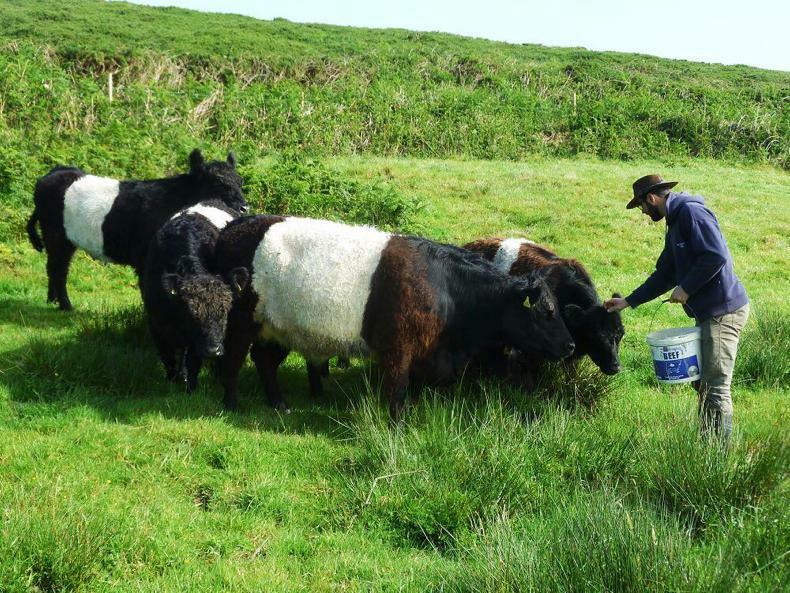 Initially mixed suckler farmers farming Angus and Hereford, the family experimented by introducing Belted Galloway cattle on to their farm, which they believed would be well suited to the rough Atlantic weather that is common on Cape Clear. 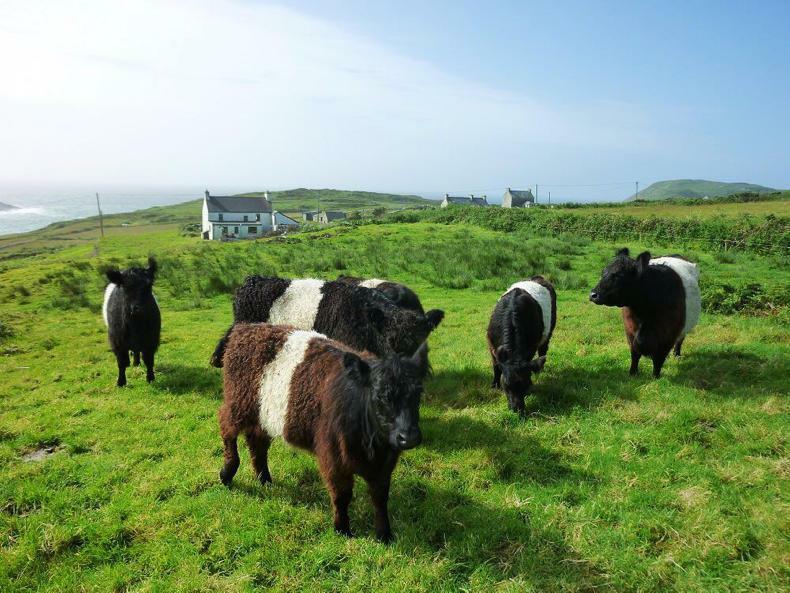 After experiencing having “Belties” in the herd, the Voarino’s made a decision to convert their enterprise into the production of pedigree Belted Galloways and source the animals from their homeland in Scotland. “During a short trip to Scotland we visited the Mochrum herd, one of the oldest and most famous herds as well as the Clifton herd, which produces regular show winners. 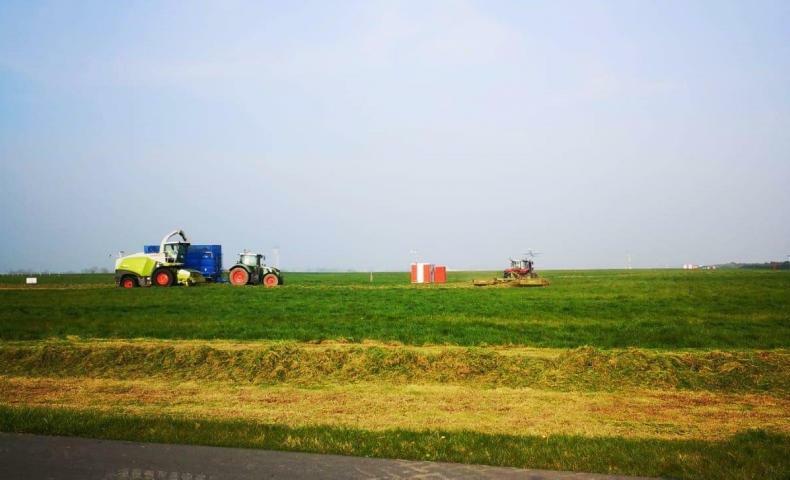 We decided to purchase six heifers from the two herds,” said Phillipe. 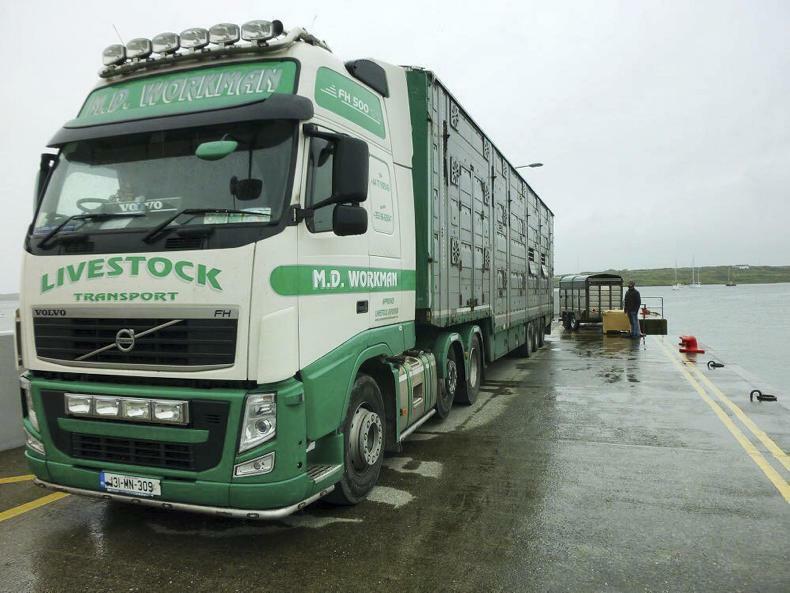 The cattle then made the long trip from Scotland down to the coast at Baltimore in Co Cork. 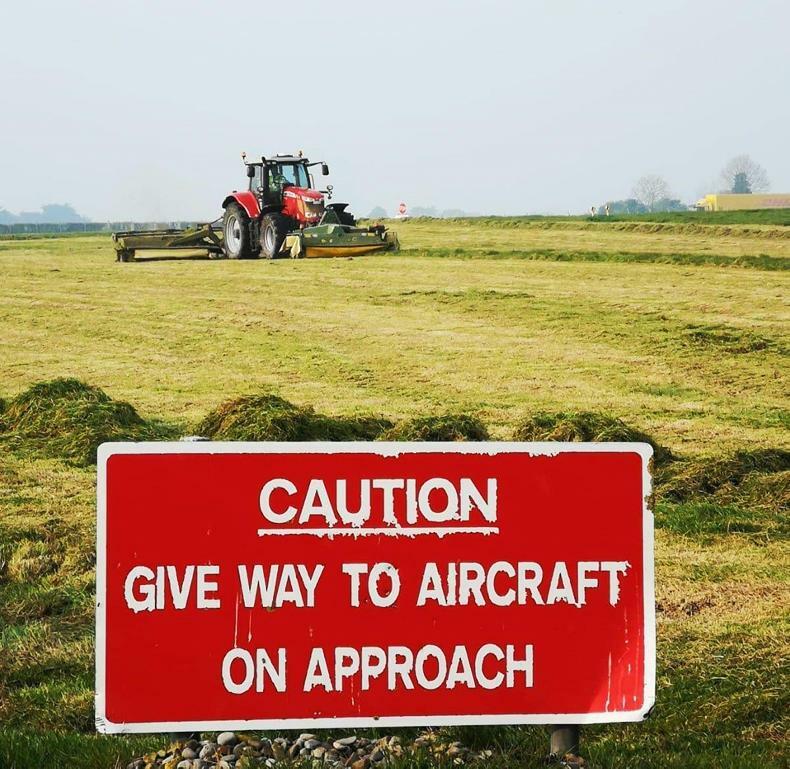 “After some organising with the help of livestock transporter MD Workman, we were guiding a worryingly long livestock truck through the small roads of Baltimore. 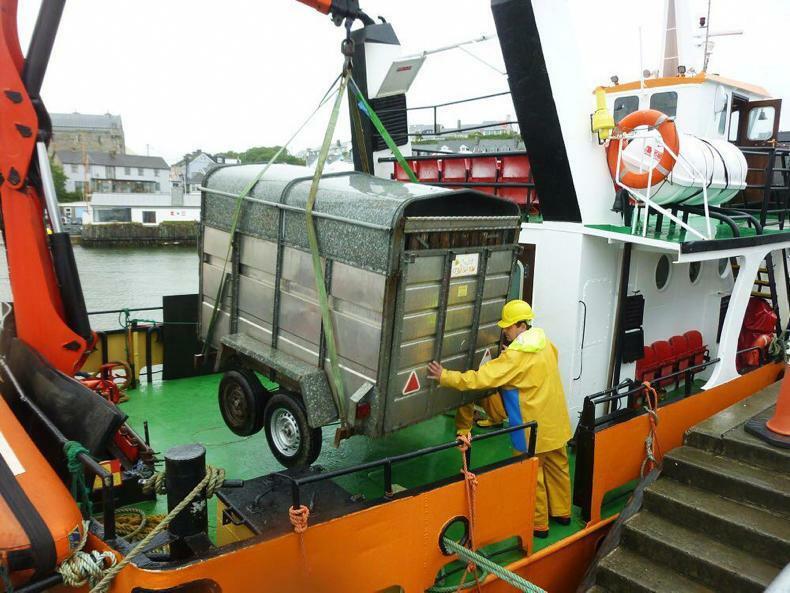 "Once on the pier we transferred the cattle into two small trailers before the crew of the Cape Clear Island ferry loaded them on-board using the ship’s brand new crane,” he continued. 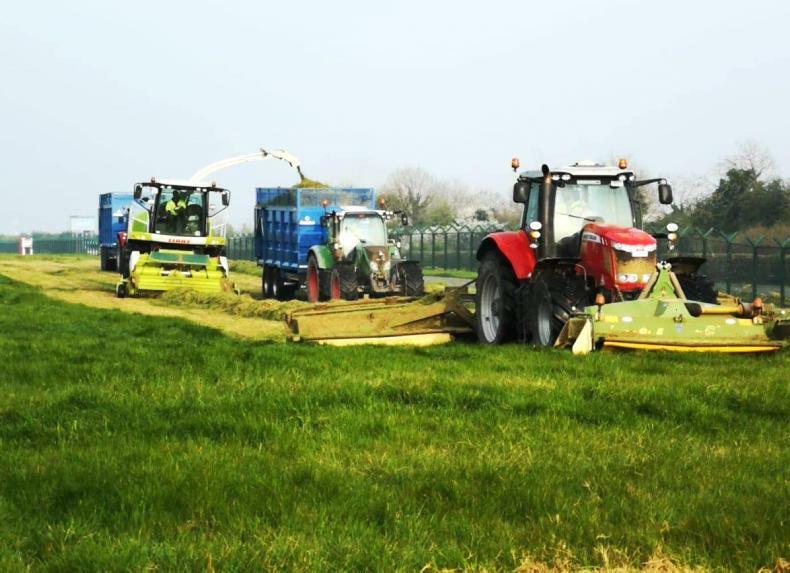 “Our Belties were welcomed by wind and lashing rain, something they are well accustomed to and are now thriving in their new home."